Neill Blomkamp’s Chappie may not exactly be lighting up the box office or gathering all of the critical praise (it has some major issues to be sure, but I think it’s better and more enjoyable than a lot of critics are giving it credit for). Perhaps most importantly, however, it’s given people an excuse to talk to and about Sigourney Weaver, and we’re always down with that. The 65-year-old actress (which still blows my mind) has talked about Chappie, obviously, as well as Blomkamp’s upcoming Alien movie, but she has also now chimed in on another franchise she played a key part in: Ghostbusters. Avatar made $2.7 billion worldwide back in 2009, so the question of sequels was not if but when. Director James Cameron has certainly been taking his time, working with different sets of writers to hash out three scripts that will shoot back-to-back-to-back. They were supposed to begin filming early this year, but that has been delayed. 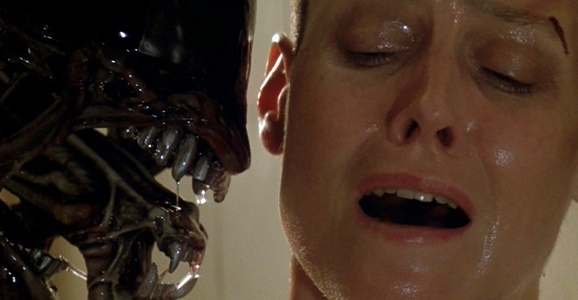 One of the only things we know about the new movies is that much of the cast, including Sigourney Weaver, will be back. 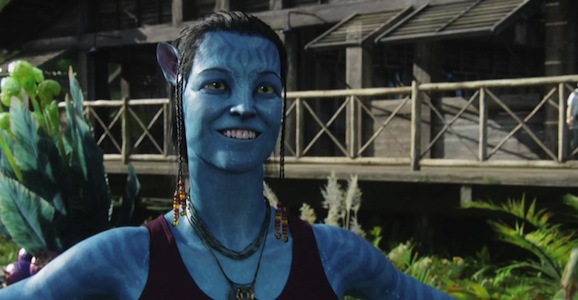 Considering that Weaver’s character, Dr. Grace Augustine, dies near the end of Avatar, we’ve had some questions about how this is going to happen, and she has now come forward and revealed that she is playing a very different part in the new installments. Weaver is currently stumping for Neill Blomkamp’s robot drama Chappie, as well as fielding questions about his much discussed Alien movie. But that’s not all she has to talk about, and during an appearance in the U.K. on The Jonathan Ross Show, she revealed a small bit of how she fits into Avatar 2. Neill Blomkamp’s Chappie doesn’t even open until next Friday, but talk of his next film, a turn in Ridley Scott’s Alien universe, has already almost entirely eclipsed that (okay, not really, we’re still stoked to see the robot adventure, but he seemingly can’t talk to anyone without fielding a barrage of questions about his Alien movie). We don’t know much of what the story entails, but the writer/director did confirm that it involves the most important piece of the puzzle (even more so than the snarling, drooling, H.R. Giger-designed Xenomorphs): Ellen Ripley. This shouldn’t be much of a surprise. One, it’s not really an Alien movie without her, and two, when Blomkamp released some of the concept art he’d been working on at the beginning of the year, she figured prominently in those images. As you’re probably well aware, this year marks the 30th anniversary of Ghostbusters, one of our all time favorite movies. I’m sure you all went and saw it a few times when it was released in theaters a few months back, right? Or maybe you waited and picked up a copy of the newly released Blu-ray. But that’s not all there is in store to mark this momentous occasion, as the cast and crew recently got together for a photo shoot and interview. 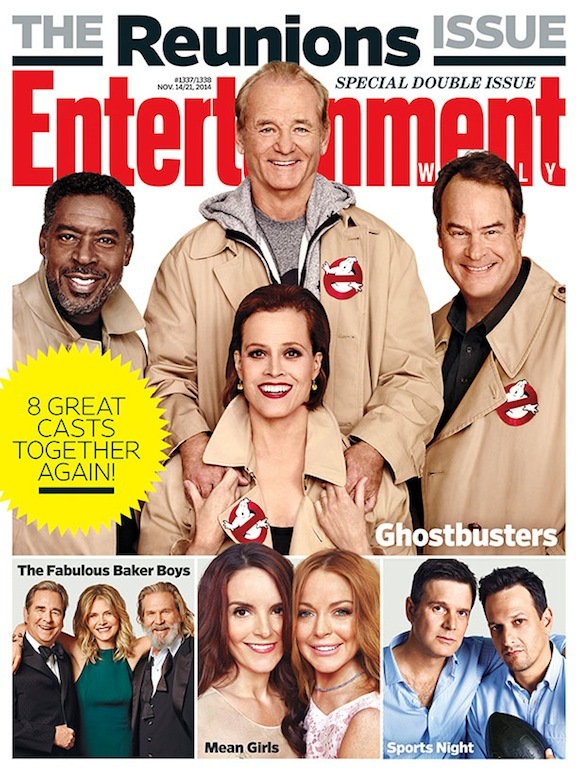 Above, you can see the Entertainment Weekly cover featuring the surviving members of the core group, including Bill Murray, Dan Aykroyd, Ernie Hudson, and Sigourney Weaver. Harold Ramis, who played Egon, as you know, passed away earlier this year. 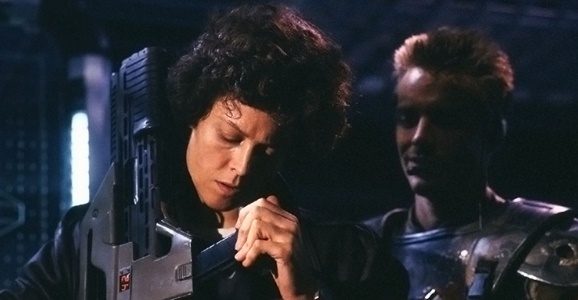 Being the 35th anniversary of Ridley Scott’s horror sci-fi classic Alien it’s easy to overlook that James Cameron’s follow up, 1986’s Aliens is also a badass piece of sci-fi cinema in its own right. If you need a reminder of that fact—you probably don’t need anyone to remind you about how awesome this movie is—just check out this vintage behind the scenes look at the film from the original release. Aliens picks up 50 years after the events of the original. Heroine Ellen Ripley (Sigourney Weaver) has been asleep the entire time, haunted by dreams of what happened on the Nostromo, which, we all know, would be more than enough to traumatize every last one of us. When she wakes up, she finds herself in another kind of nightmare, one where no one believes her and acts like she’s crazy. There can’t possibly be an unholy army of armor plated alien killing machines with acid for blood lurking out there in space, can there? Three and a half decades after she first played the role, Sigourney Weaver is still inseparably bound to the role of Ellen Ripley from the Alien films. It’s not a bad legacy to have — she hasn’t been so typecast that it’s hampered her career, and Ripley herself is one of the strongest, most iconic female characters in science fiction film history. Hell, forget gender; she commands a place in the top 10 of any list honoring the best of the best in big-screen sci-fi, no qualifiers needed. Earlier this week the The Hero Complex Film Festival held an event honoring Weaver, and she shared her memories about the past and future of the franchise that has helped define her career.